Cut a little off the upper and lower part of the potatoes, scoop out the insides using a melon baller, leaving a border of approx. 3 mm. Cook the potatoes (uncovered) in boiling salted water for approx. 15 mins. until soft. Drain the potatoes, allow to cool slightly, transfer to a plate. Mix the burrata, oil, crème fraîche and salt, stuff the potatoes with the mixture. 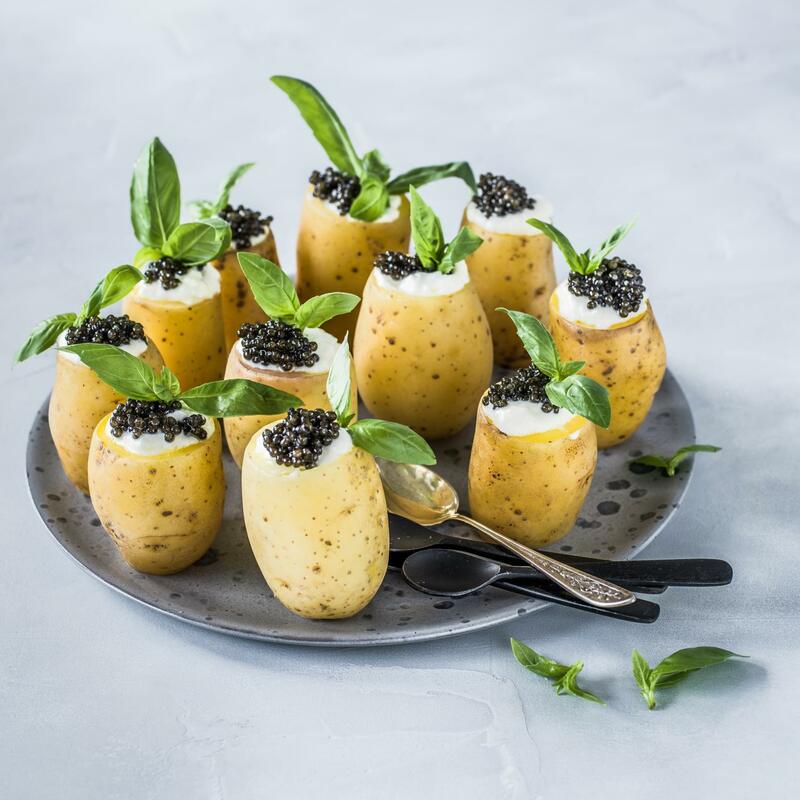 Top with the caviar and basil leaves. Cook the inside of the potatoes in boiling salted water. Allow the potato to cool slightly, mix with vinegar, oil, herbs, salt and pepper, and serve as a salad.